Whether you're a teenager interested in joining NYO or a parent keen to know more about what we do, we hope you'll find your questions answered below. If you don't find what you're looking for here or elsewhere on our website, please feel free to email us info@nyo.org.uk. When can I apply for NYO 2020? Applications for NYO 2020 will open in spring 2019. Please check back on the website then for more information. You need to be between 13 and 18 on 1 September 2019 in order to apply for NYO 2020. Do I have to have passed Grade 8 before I apply? No. You need to be of a standard equivalent to that required to pass Grade 8 with distinction, but you do not have to have taken any exams. If you don't have an exam marksheet to show us, please ask your music teacher to provide written confirmation that you are of the required standard. Can I apply on more than one instrument? Yes – but please make a separate application for each instrument, using the same login. To find out more about joining NYO, please visit Who can join? I am worried that we may not be able to afford the membership contributions. Can you help? Yes! Each year, the NYO bursary scheme helps a number of people take up places at reduced rates, depending on their financial circumstances. Auditions are free, and we can also help with travel costs for those who need it. For further information, click here. What are the rehearsal residency dates? after Christmas, February half term, before Easter, and at the beginning of the Summer break. I will be taking GCSEs/A Levels this year. Will there be time and space to do my revision? It’s important to be well organised and have tackled as much as possible in advance. There are quiet times scheduled into all rehearsal residencies for studying, and you should be able to keep revision going. Although making incredible music is at the heart of NYO, the other skills our musicians learn – how to balance work, prepare for big challenges, and support your peers – are just as vital to future lives and careers. You can find out more here. Can we play music other than the concert repertoire during residencies? the City project. You will also have the chance to work with NYO's teenage composers, helping them learn more about writing for your instrument and bringing their ideas to life. We call this Creative Hub. What happens when we are not rehearsing or performing? genuine friendships that our performances are so full of energy and life. You can read more about Rehearsal Residency activities here. What do I need to prepare before rehearsals begin? understand what is happening musically around it. We also ask that players read about each composer, to begin widening their appreciation of each work. How much playing is there during rehearsals? Each day in a residency involves sectional, full sectional and full orchestra rehearsals – which can add up to as much as seven hours of playing in a day. Bearing in mind that happens for several days in a row, it's important to build up stamina and prepare yourself to prevent injury. Each morning you will physically warm up to support you for the day ahead and our dedicated Support Team and Residency nurse are on hand to ensure your well-being. You can read more about rehearsals here, and find out more about our Support and Safety policies here. What is NYO Inspire, and will I be part of it? NYO is on a mission to share orchestral skills and music with many, many more young people – and every single NYO musician has a vital role to play! In the Inspire programme, which takes place both during and in the gaps between rehearsal residencies, NYO musicians lead workshops and side-by-side projects with other young musicians. Our musicians also perform in schools, and to teenage audiences outside of the concert hall, to show in the most energetic and positive way possible that orchestral music really is for people just like them. Find out more here. Will I be involved in fundraising? NYO is a charity, and we need to raise £1.5 million every year to fund our activities. NYO musicians are in a unique position to help make this possible and it is an important aspect of being in the orchestra. Over the year, there are a number of ways we will ask you to be involved in fundraising. This ranges from writing to supporters through our Take a Seat scheme and talking to donors at receptions and events. You are NYO's most powerful advocates and this makes a real difference. 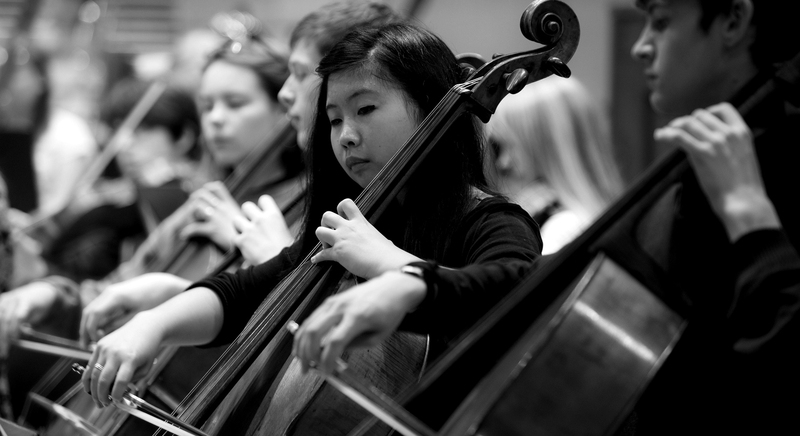 We're very happy to know that you're interested in having your teenage musician be part of NYO. Key questions are below and additional information on auditions can be found in this downloadable document for parents/guardians. How will my teenager keep up with their educational work? NYO is a big commitment through the year and it’s true that it can take up a lot of time. However, with careful planning in advance, our musicians can enjoy the experience in full while still being able to stay on top of school work and revision for school, college and university. They are given some periods of free time and, in the case of the Spring Residency, a study space in which they are able to work quietly with or without their peers. How will my teenager be supported at NYO? We hold safeguarding and pastoral care as a top priority. The Head of Support manages a Support Team of 10-12 people who are available 24/7 to ensure that every NYO musician feels safe and supported. They are trained in listening, conflict resolution, and dealing with the anxiety and injuries that many young musicians face. They are approachable, friendly and caring individuals who have dedicated their time to providing advice and a listening ear to any NYO musician. There is also a nurse on the residencies, who is available for medical advice and treatment whenever required. Our safeguarding policy is delivered to every member of staff that works with the organisation, and every adult that comes into contact with the orchestra. Every adult is CRB (Criminal Records Bureau) checked. Musicians are reminded regularly how important it is for them to feel comfortable and safe. If anything were to occur on a rehearsal residency that makes an NYO musician feel uncomfortable, we encourage it to be reported to the Head of Support immediately so that action can be taken to ensure the safety and wellbeing of the young person. For more information about our safeguarding and support policies, please click here.